If its not called out in the policy, than I say sneakers are fine. I'm also with the op on this one. Dress codes drive me crazy. However, I always follow them as I'm not the owner of the company I work for. In my opinion, if the owner says the dress code is black tie, I have 2 choices, conform or quit. With that being said, I do not speak, think, or work any better when wearing dress pants and shoes versus a pair of jeans and sneakers. My confidence level is still the same no matter what I wear. If you have time to look at my shoes and make a decision on me, it is your loss not mine. I have seen that some of the best dressed people are what I like to call oxygen thieves. You need to have a lot of live plants in the room when they talk to turn some of the carbon dioxide they are emitting back into oxygen. I truly believe they compensate for their lower performance by looking sharp. Please don't take my comment to mean that anyone who dresses up is not a great performer. That is far from the truth. Can one wear shorts with a business suit? This. I guess it depends on what is the definition of "business casual" in your specific environment, but legitimate running shoes are a no-go in pretty much any environment. Although I'm a director-level employee I wear "sneakers" (vans, reefs, casual new balance) to work 90% of the time; basically whenever I am not representing the company in a very public venue, but never would I wear actual athletic shoes unless I was doing manual labor. I assumed that vans or chuck tayler type shoes were at the same level of formality or informality as sneakers (running shoes)? Vans and Chucks are at the same level of formality as running shoes. I feel extremely confident in saying you are in outlier in thinking this. Yes, there are workplace environments where I would never wear a pair of Chucks or Vans or retro NBs, but there are zero non-manual labor workplaces where I'd show up in literal running shoes. 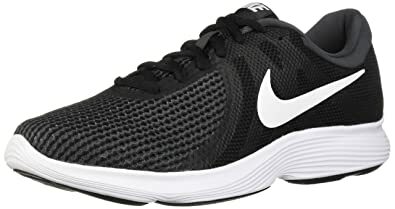 I'd conservatively estimate that 75% of the employees in my very conservative corporate environment, including the 4 founders of the multi-billion $ company (who are all in their mid-50's), are wearing like shoes on a pretty regular basis, nobody is wearing Nike or Brooks running shoes...ever. It depends on where one is. I wear shorts, untucked short-sleeve shirt, bright colored Brooks running shoes, and show full sleeve tattoo when teaching tax law seminars to CPAs and attorneys. If they don’t like it, they can leave (no refunds). But...I own the seminar company. Outside of tech companies and self-employment, the sneakers are probably not going to fly. I work for the federal government, and literally no one shows up in Vans or Chucks unless they're in facilities management or IT. If I showed up in Vans or Chucks, I would be told to go home and change. Do it repeatedly and you could get written up, or eventually fired. On the flip-side, there are plenty of non-manual labor workplaces, such as most SV tech jobs, where no one gives a fig whether you show up in running shoes or flip flops. Yes, if you are a founder of a privately held company, you can dress however you want, including wearing pajamas to work. I wouldn't recommend it for everyone else. Last edited by golfCaddy on Sun Sep 09, 2018 7:37 pm, edited 1 time in total. Visit a Silicon Valley, Portland, Seattle, Boulder, Austin, etc. tech office sometime. You stated that Vans or Chucks or like footwear are on the same level as literal running shoes in workplace formality. In the majority of situations/environments in contemporary culture, that simply isn't true. I'm not sure how not being able to wear "casual" footwear in your workplace in any way changes that. At my workplace (and I am almost positive at my wife's as well) shoes like the OP pasted are actually against HR's written dress code, while "casual mono-colored sneakers" are not and by far the most common footwear. Last edited by stoptothink on Sun Sep 09, 2018 8:45 pm, edited 1 time in total. I'm not in any way disagreeing with you. I know that is the case as I have also been in environments where legitimate running shoes are perfectly acceptable (even if I personally choose to not wear them). That statement was based upon another poster saying "casual" sneakers were on the same level of (in)formal as running shoes in any workplace environment. In my own, and tech environments in my current area (Utah - Silicon Slopes - my wife is in tech), you'll see the majority of people coming to work in Vans, Chucks, mono-colored "casual sneakers" at least occasionally while modern running shoes simply don't happen. In many cases it is flat-out against HR's written dress code to show up in the same shoes you are training for a half-marathon in while Vans, Chucks, etc. are not (that is the case at my place of employment). I work in a conservative environment, and have seen officers wear nice sneakers with their business attire. There is no right/wrong answer that we can give you. Check out what those around you, and above you, are wearing. That should provide some solid guidance. I fail to see how what happens at your job and your wife's proves anything about the majority of situations/environments in contemporary culture. What's your source? Provide a link. Don't provide anecdotes about one or two companies. Also, many/most Chucks and Vans are not monochrome. I'm just wondering something out of curiosity. I don't have a claim on this one way or another because I don't know, I just know that sneakers are informal, whereas cap-toe oxfords are formal. I have no clue whether chucks or vans are on same level as running shoes, but I do see people wear them at the gym, which is why I asked. So I'm wondering this: why would chuk/van be considered more formal than running shoes (or not)? I mean who or what determines this? Obviously there isn't a committee that determines this, so maybe it's that if more and more people wear them as part of business attire that a shoe over time comes to be seen as formal? Last edited by get_g0ing on Sun Sep 09, 2018 10:26 pm, edited 1 time in total. And if those people have succeeded through rigid conformity, they will be very reluctant to accept anyone in sneakers. The open creative types that are actually successful are rare, so it's more likely to be a rule follower than not. There's no shortage of people who want to believe they're the exceptional iconoclast that would do something earth-shattering if only someone else took a chance on them... but that just doesn't seem to be the way it works. Presumably you work somewhere that specifies or strongly encourages business casual. Sneakers don't meet that definition. You'd be in the same situation as wearing a fashionable t-shirt or jeans. They simply aren't business casual. I can't predict the impact of deviating from dress expectations. Some likely outcomes are to get a reputation as someone who is overly casual or unprofessional. Short answer. If you have to ask, then the answer (within the context of your workplace) is probably "No." AlphaLess wrote: ↑ Can one wear shorts with a business suit? Because both of us have worked at a number of organizations in the past decade and I have a very public facing position (ie. I am visiting other employers several times a week). Our current employers are not the only places we have worked where running shoes were actually against the written dress code, but "sneakers" were not and by far the most common footwear. 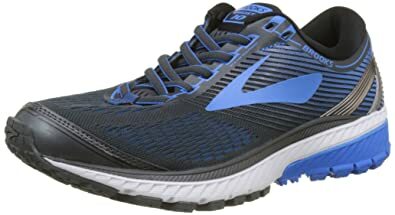 Just look around next time you are at a workplace that is not yours; I bet you will see tons of people wearing mono-colored conservative "sneakers" and virtually nobody in literal running shoes. Not to mention, virtually every response in this thread has said that the shoes in the OP were not OK, but how many have stated that "sneakers" were? Sneakers are not business casual. You have to see what other folks are wearing to see what is "acceptable". I would not want to wear something that would put me as an outsider in the company's dress culture. What industry is this in? In tech, pretty much anything goes. There is a senior director down the hall from me who generally wears polos, shorts and beaten up sneakers. But that's tech for you - pretty much anything goes. Makes me so glad I'm retired and in South Florida. AFAIC, a shirt with a collar and long pants are formal wear. It all depends on what your definition of "sneakers" and "business casual" is. I think the one thing that almost everybody in this thread (outside of tech in certain areas) has agreed on is that the shoes posted in the OP are generally not acceptable. Bottom line is to look around your own office; that'll give you a much better answer then asking on a board where everybody works in a different environment. Last edited by stoptothink on Mon Sep 10, 2018 9:57 am, edited 2 times in total. One nice thing about working in high tech... fewer and fewer companies have any dress code at all... Where I work people come in in shorts and tee shirts during the summer sometimes. I still am too old fashioned for that but I do wear jeans a lot now. 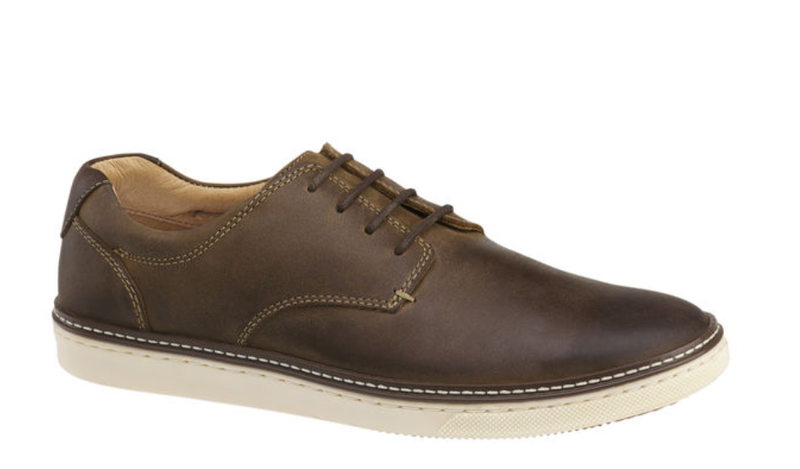 One thing I have found is there are some really comfortable "brown work shoes" that feel like wearing sneakers but look like a regular shoe. Ive got some now made by Sketchers previously went though a couple pair of Merrell's. Is a high five the proper greeting for the queen of England? It really depends on the norms for your work and who the people are who interact with you. In my office and in front of our customers, the "rule" is "business casual". But we go on to say that this means no t shirts, no shorts. That's pretty much it. I'm seeing hardware EE's and they typically are in some kind of t shirt and jeans with sneakers. All of us engineers tend to wear a polo type shirt (usually with the company logo), khakis and all-black leather or suede sneakers. The sales people tend to wear leather shoes, dress slacks and a button type shirt or company polo shirt. The days of technical sales and FAEs wearing ties are gone with the early 2000's. In my early days of doing this...in the 90's, I'd wear a full suit. I could see a lawyer, doctor, real estate agent wearing a suit. Our CEO presents quarterly and although I can't see his shoes, he's always wearing a company logo polo shirt. What you can get away with, what is generally accepted and what is preferred are 3 different things. In general, do you do the bare minimum at work? That's the reason I made the post in the first place. The intent behind was that if otherwise you do a good job, are cleanly dressed and professional, would your shoes be cared about? Maybe it's just me but I don't understand the link between doing or not doing bare minimum at work and the shoes you are wearing while doing or not doing. You could be wearing a plain toe oxford and do poorly at work. All else being equal it would make no difference to me personally what shoes a professional I was dealing with was wearing. Whether it's a doctor, lawyer, policeman, etc I can't think of any case where it would make a difference (to me). I will admit that I don't know how common this view is or if it's an anomaly. You might be that way, but I assure you there are other people that aren't. There are bosses that watch what time everyone comes in and when they leave and give that great weight (versus how much they are really accomplishing). There are people, presumably, that see you and what you are wearing (internal or external people) and don't know your work and won't be thinking "that guy has odd sneakers on but is brilliant" because they don't interact with you on that level. I think it is naive to think that your work will be the only factor people will judge you by. I would say hell no except if you are looking project that you have "FU money" and you can do whatever you want, on your own terms, even up to the point of getting fired. Absolutely. I do it all the time at my office. My go to shoe for this purpose is the New Balance Fresh Foam Cruz. This is a running shoe, but I think it looks great, especially with narrower pants that are hemmed correctly. Another popular shoe, especially in casual offices on Wall Street (I have relatives in these settings) are Allbirds. This is a new company that specializes in wear-everywhere sneakers. I actually don't wear Nike running shoes around the office though. I don't think any of their shoes look good with business casual clothing. White shoes like these go with anything ranging from shorts or jeans, all the way up to a suit. Can't go wrong with them. All that being said, if you are hoping to wear sneakers with pants in a work setting, even if it's casual, the pant tailoring is probably more important than the kind of sneaker. You really need minimal break in the pant leg, and a narrower taper too in order for the look to be clean. If you prefer baggier pants with more break, I would probably stick to leather shoes. "Business Casual" is one of those squishy terms that can mean almost anything. For men, "business casual" can mean you get to wear a sport coat and no tie, but otherwise basically full business attire. On the other end of the spectrum, it can mean jeans, sneakers, and a polo shirt. Personally, I'd just try to blend in as much as possible. If other people in the office wear sneakers, by all means wear sneakers. If they only wear cap-toe oxfords, then wear those. People shouldn't remember what you wore to work. It works both ways on the formality scale. If you work at a tech startup full of software engineers wearing hoodies, wearing a suit will make you stand out in a bad way. First impressions and stereotypes serve similar functions… that is, humans are too busy dealing with their own problems and issues to do a deep dive on every individual they might encounter day to day and make an accurate assessment of their true strengths and value as a human being. The chances that someone taking that much time to assess you that way on a day to day basis is pretty much 0%. The chances that everyone you encounter today will quickly size you up in a few milliseconds and make dozens of assumptions about you in a moment without even having to think too hard about it is 99%. I'm not going to have enough time to invest to find out if a service rep is competent at their job but I can at a glance figure out if they're well groomed, well dressed, well spoken and courteous. All of those things can function as a proxy for competence or at a least… proficiency in soft skills. Figuring out a direct reports true impact to your department and organization is beyond the skillsets of the majority of managers out there. We use shortcuts and rule-of-thumbs. In regards to how all of this factors into your personal outfit or wardrobe at work; you want to be remembered for your words and actions, not for what you are wearing. Would sneakers be accepted to go with business casual in office environment (to meet clients/customers, etc)? Or would it be faux pas? Most people have given the answer NO. Now I'm looking for an explanation of the implication/consequence or possible outcomes if someone does so? Yes if and only if higher ups do it, if they don't then no. I would only wear the sneakers on jeans not on slacks in the office environment if jeans are allowed in your settings on business casual. If they do it then go ahead but if you are meeting clients/customers, I would never. Those days you have to wear proper attire to meet the level of the business you are discussing. The shoes you attached I would only wear on jeans and if the higher ups do. That is the norm in my office but if I go to a customer visit then I do wear my nice shoes and slacks. I can agree with that, makes sense. Where do you find Allbirds at at a box store? DSW doesn't carry them. Even though these are error-prone, we all use them all the time. Actually that's how we get fooled and tricked by corporations (and people) who understand this and optimize for it. Allbirds don't sell through 3rd parties. At the minute they only have stores in NYC, Toronto, and San Francisco. They do have a 30 day free no questions asked return policy though so I think there's wouldn't be anything stopping you from buying a few sizes and sending back whichever doesn't fit. Well, there you've got the folks in bare feet, sandals, and those weird toe shoes to contend with as well. And pyjamas have been sighted as well to respond to an earlier poster suggesting that they would be inappropriate everywhere. I reviewed this but was a little confused. Would the "McGuffey Lace-Up" shoe here be considered a formal shoe? The sole looks sort of white like chuck taylor shoes. These are quite comfortable and come in wide widths too (if that's the reason that your feet hurt). I picked up a pair of blue ones recently for smarter casual wear. I want some now, thanks. I currently wear Allbirds Runners. I have a couple pair of Wool Runners and a blue pair of Tree Runners that are my favorites. In summary, look around and see what folks wear. Some offices are clearly more casual than others. Another way to look at it is, Van markets itself as a skateboarding company. Anything you would wear skateboarding is not business casual. JP Morgan and banks are very conservative. So is there definition of business casual. You need to know your industry and company. I wasn't at all aware that there are so many companies with a dress code. It makes sense if you see people from outside but I don't get for an office job. I assumed that the standard is polo shirt, jeans, sneakers. In the tech company I work for a polo shirt is already a little overdressed. Tshirt is common. From VC up they wears shirts most of the time, but jeans and sneakers are still the norm. Engineers can get away with sneakers. A lot of my coworkers, including myself, wear sneakers. My "formal" sneakers are "Sketchers for work" in black. Otherwise, Saucony. Running shoe. Chuck taylor or vans type shoe. Agreed. Except I will modify to say ABSOLUTELY NOT! If you have to ask, the answer is usually no. As my first boss told me, it's always better to be overdressed than underdressed. And it's ALWAYS better to be early rather than late. Depends on the workplace. Hiking-style running shoes (Salomon, e.g.) are reasonably common at my office for those who have a more casual look ("after class I shall hike the mountain" type thing). More common is some sort of Vans/Converse equivalent, but most are in some sort of leather business casual shoe. I wouldn't assume that sneakers were out in a place that permitted Vans, or that either were generally business casual.